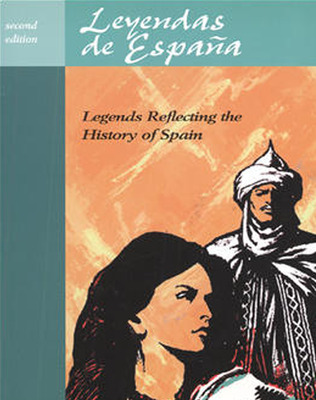 A reader for your intermediate through early advanced Spanish students, Leyendas de España (Genevieve Barlow and William N. Stivers) contains 18 legends that capture the essence of the history and civilization of Spain—from the Moorish conquest in the eighth century through the eighteenth century. A reader for your intermediate through early advanced Spanish students, Leyendas de España (Genevieve Barlow and William N. Stivers) contains 18 legends that capture the essence of the history and civilization of Spain—from the Moorish conquest in the eighth century through the eighteenth century. Chronologically arranged tales set in most of Spain's provinces help students acquire a sense of the geography and history of Spain.